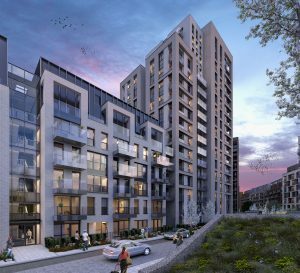 The latest phases of Parkside, a major regeneration scheme in the heart of Lewisham, have secured unanimous planning approval at committee. 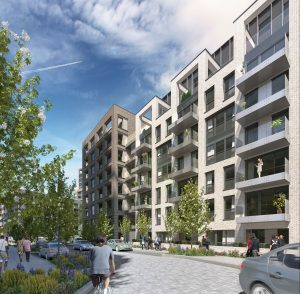 Formerly known as Heathside and Lethbridge, Parkside is continuing the transformation of the estates into a high-density, mixed tenure development by delivering 1,225 homes along with a community centre and retail spaces, with phases 5 and 6 providing the final 443 homes. The team can now progress by submitting the 2nd crucial element; the reserved matters application. 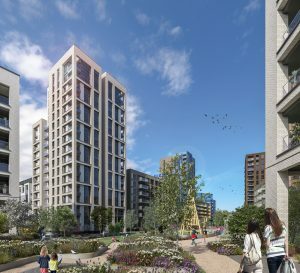 This is a significant achievement, with phases 5 and 6 the last to be delivered following BPTW’s initial masterplan involvement in 2010.